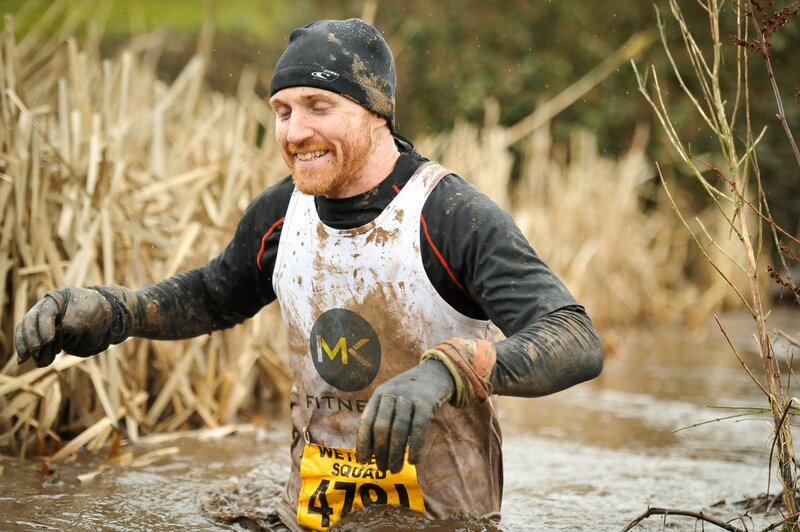 In 2015 myself and 2 fellows I had been training decide to attempt our first winter Obstacle Race, McTough Guy(now known as MacTuff). 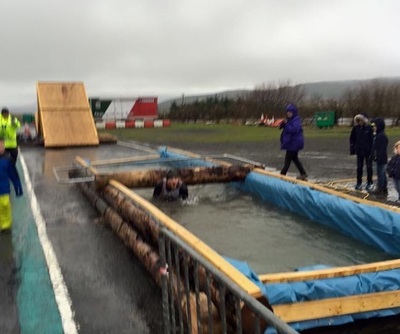 We had been taking part in obstacle races for around a year or so and we were very much looking for tougher and tougher challenges. Knowing that I didn't take to the cold weather and water naturally I knew I needed to prepare! So my research began, and judging on how well we performed and how well we have since adjusted to cold water and tougher weather conditions I thought I would share my two cents on what has worked for my team and I. 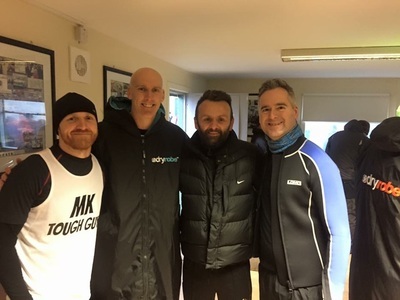 You will have no doubt have read the tales of hypothermia and adverse reactions to the cold at some races, such as Tough Guy the original, The Nuts Challenge etc. And on completing McTough Guy, it was crazy seeing people suffering from the cold, and suffering bad. And this was without any true full submersion in water! I felt fine with the weather through the race( as we had thoroughly prepared) but once I stopped, it was crazy feeling the effects, such as shaking without even realising it. But it was very mixed on how people reacted. In the changing/shower block people were violently shaking and were unable to strip. Though some seemed to warm back up fine. For me i think it was all about preperation. And with Mactuff and Tough Guy the original coming up for me this coming January, I will be doing the exact same, if not more, preperation again. 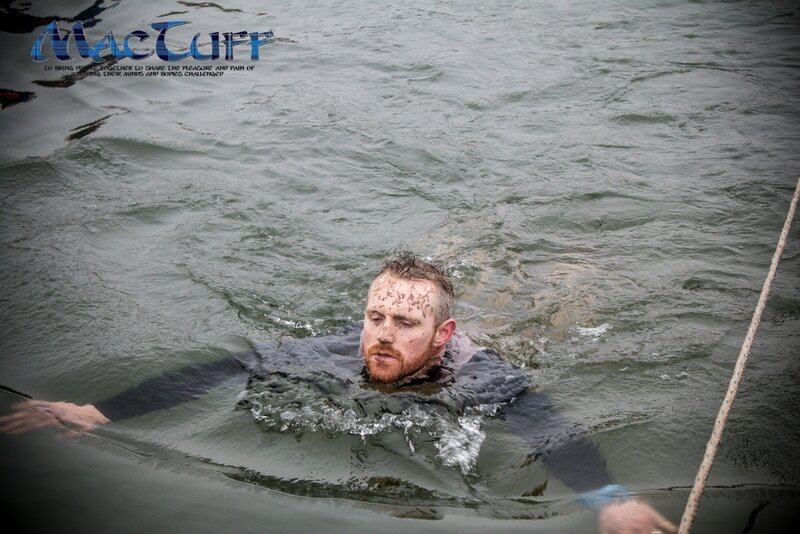 Being adeverse to the cold I started looking and googling to see how I could adapt to the shock of cold water and to the cold weather in general. I decided that a large part of it all was going to be mental toughness. My reaction to cold water at races was, well, over the top to say the least. Artic Enima, water slides etc, would all send me screaming and shouting, soon followed by blue lips and shaking, although that was mainly due to gear (more on that later). So in September 2015, I had Total Warrior. They have their fair share of water to run and jump in to, and so I decided I would start here. I accepted that it was going to be fresh, and attacked it hard. And with this acceptance, there was less of a shock and more enjoyment. Which although I never had to adapt to anything like the temperatures mentioned, gave me some food for thought. Basically we all have temperatures that we get comfortable with. But we can acclimatize to new environmental changes with gradual changes. Wear less clothing. Even when cold outside I would wear a t-shirt or lighter clothing. Crank on the Car A/C. To get my hands more used to the cold, when I was driving I would drop the temp to its lowest and focus the fans on to my hands. Gradually lower the temperature of the house. Lower the heating. Simple really. Drop the shower temp. Every couple of days I would gradually reduce the temperature of the shower, a half notch at a time. This was probably one of the most effective methods for me. 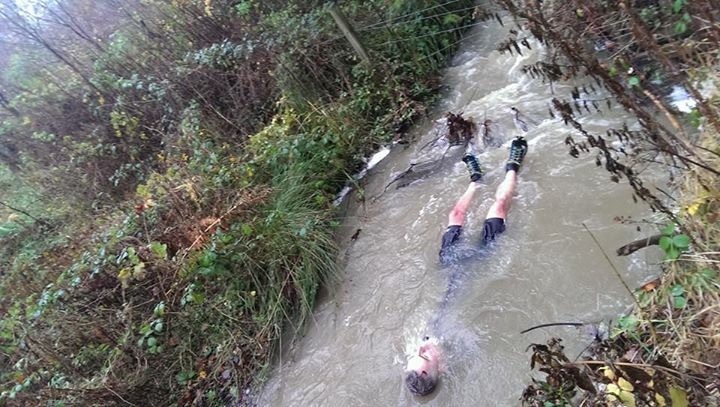 Now, on top of all this, once a week, at least, we would meet up at the park we train at, and start to wade through burns, do press ups in to the water and have a dunk in to the pond. I'd recommend you get in to burns or running water as it tends to be colder. As soon as you are out of the water it is vital to get moving again. This will get you used to running when you are cold. A hard thing to get used to is the wet cold feet. It can feel like lead bricks at the end of your legs. So getting moving is vital to get the blood flowing again. 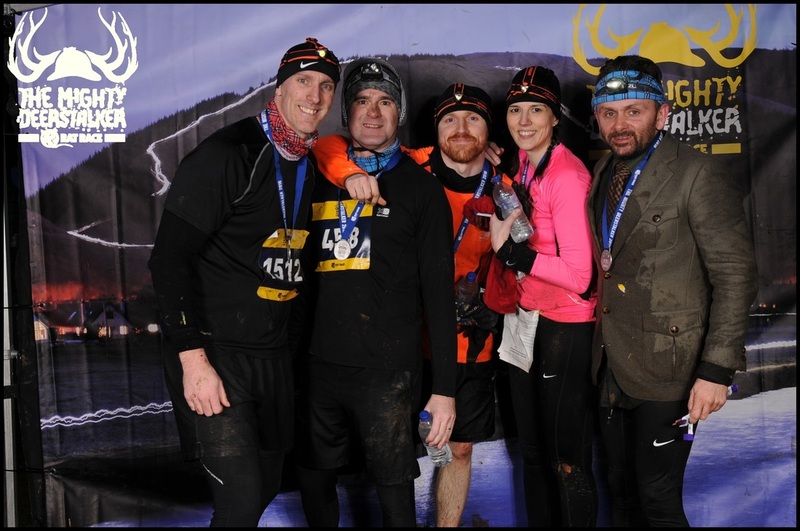 So, like we all do, we searched the forums, listened to runners of previous winter obstacle races, and done some trial and error when it came to the gear we chose to train and race in. It all really depends how well you already feel with the cold. My combination varies depending on the amount of water and temperature of the race. Also this is order I wear the items of clothing in. Winter running leggings (normal are good too) keeps the legs a little warmer. Varity of rash vests thermal/neoprene. This is just my choice of products and brands and there are thousands of other brands that you can choose from and find with a little research! So thats how I and my team deal with the winter season and the cold weather and water! Hope it helps a little, and can answer any questions at all in more detail. Enjoy. 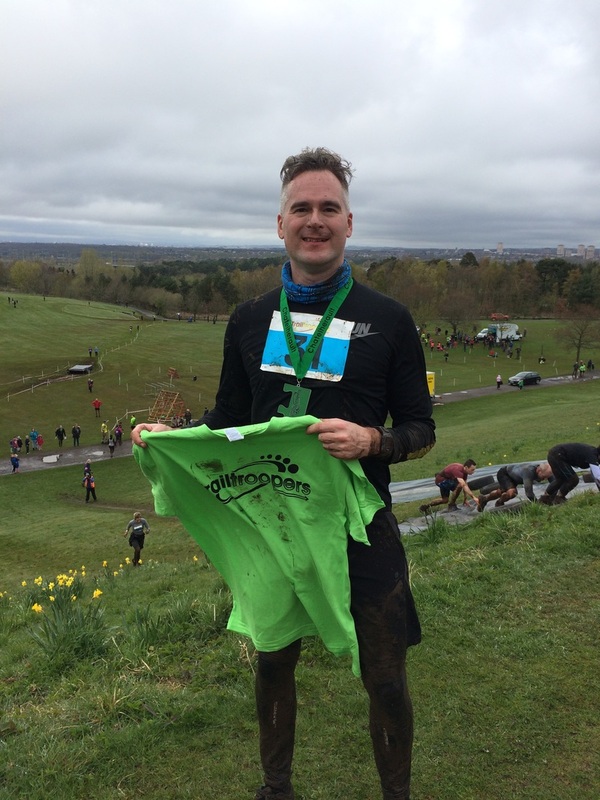 How often have you read a review of an obstacle course race you've recently completed and wondered if you were running the same race? It's a very subjective view, isn't it? So at the risk of alienating my fellow runners who took part, please recognise that this is my take on the TrailTroopers May 10K OCR at Chatelherault Country Park, near Hamilton on Sunday 2 May. Entering the race was straightforward through EntryCentral via the TrailTroopers website. There’s plenty of useful information for the novice, clear instructions and good email communication from the TrailTroopers Team prior to the event on how to get to the event, where to park and what to expect when you arrive. 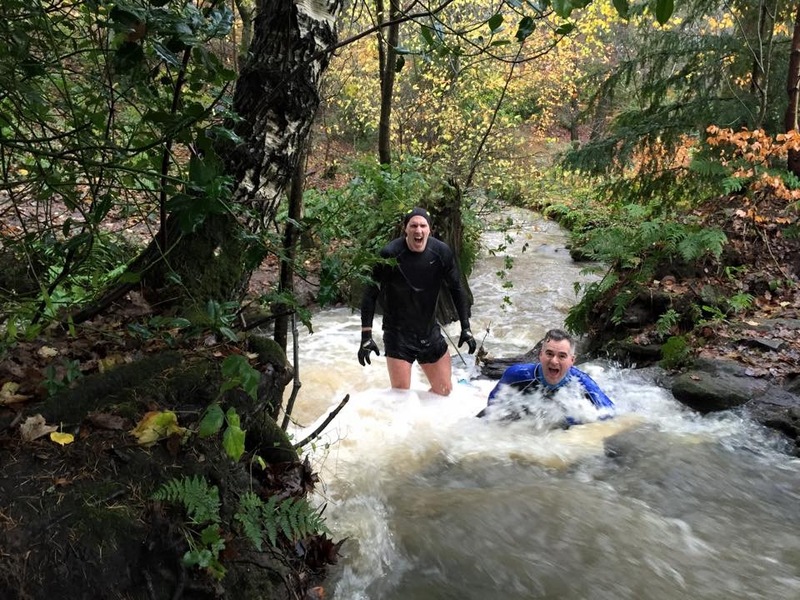 TrailTroopers offer one of the best value OCR in Scotland and provide a series of prices from the early bird price of £23 to latecomers at £30 for the 10K. There were 3 available distances to run; 10K, 5K and 2K. The 2K is aimed at Mini-TrailTroopers to encourage kids to take part and have fun. The different races took place over 6 waves starting with the 10K at 10.50 through to the last 2K wave at 13.10. Waves 1 and 2 in the 10K and wave 1 in the 5K was timed using RaceSplitter on an iPad, which is why your race number needs to be visible when you cross the finish line so the Marshalls could note your time. Driving to the event was straight forward using the SatNav postcode provided in the pre race email and plenty of parking available upon arriving, which was near the Registration Tent. Registration was quick and easy and this is where you received your race number. A bag drop was also available if you had to leave car keys or bags. Toilets and changing areas were available and you could find a café in Chatelherault House if you wanted a hot drink. The course is set in the magnificent grounds of Chatelherault Country Park and takes advantage of the natural terrain and woodland in addition to the man made obstacles throughout the race. Wave 1 was called to assemble in front of the starting line and I was expecting a 10 minute warm up session described in the pre race instructions but unfortunately, it turns out the person who was going to do the warm up hadn’t arrived. The morning was a bit cold and light drizzle on and off meant that if you hadn’t taken it upon yourself to keep warm and stretch, you may well have started not properly warmed up. The loudspeaker wasn’t that loud and I don’t think the front line heard the starting gun go off which prompted shouts of “Go!” from those that heard the gun. The first obstacle was immediate; a few metres away was a huge cargo net pinned down on the side of a fairly steep hill. The path at the top of the hill led to the woodland. 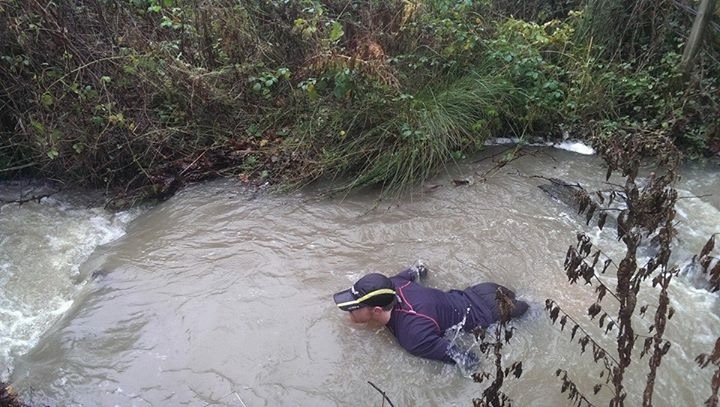 A variety of fallen trees, muddy ditches and banks to clamber over became the first of many obstacles to overcome throughout the race. It wasn’t long before we came across the first of 3 river sections; ranging from ankle depth to over your knees. A variety of trails took us through streams, a tyre carry through some very boggy and muddy pits, several spider webs, a log carry, a rope climb, a water drainage tunnel, a monkey traverse, a long series of steps and some long inclines where some of the physical challenges encountered. Towards the end of the race a crowd had gathered to see you overcome the final tests before you reach the finish line. These included a huge water slide (back down the hill from the start), a balance beam, climbing walls, a series of overs and unders, parallel bars and balance over a see saw. All runners in the 5K and 10K races received a very nice medal in the shape of a jigsaw and a TrailTroopers T-shirt. A bottle of water and a wafer biscuit was also welcome along with some information about the Finding Your Feet charity. This cause supports people who have gone through life changing trauma and is supported by TrailTroopers. I later learned that vandals had moved signs and taken down markers and course tape overnight prior to the race. I didn’t notice this disruption at all during the race, so credit to the Race Directors and Marshalls who quickly put things right. In fact I thought the course was very well marked out and didn’t wonder once which direction to take. So despite a bit of drizzle prior to the race, this was an enjoyable, sometimes challenging race that made the best use of the natural landscape. The event was well organised, with the support of friendly, encouraging Marshalls and volunteers. TrailTroopers next event is Castle Dangerous OCR, on Saturday 13 August at Douglas (in-between Lesmahagow and Abington), a new venue for TrailTroopers and one that promises to be just as challenging and fun as Chatelherault. 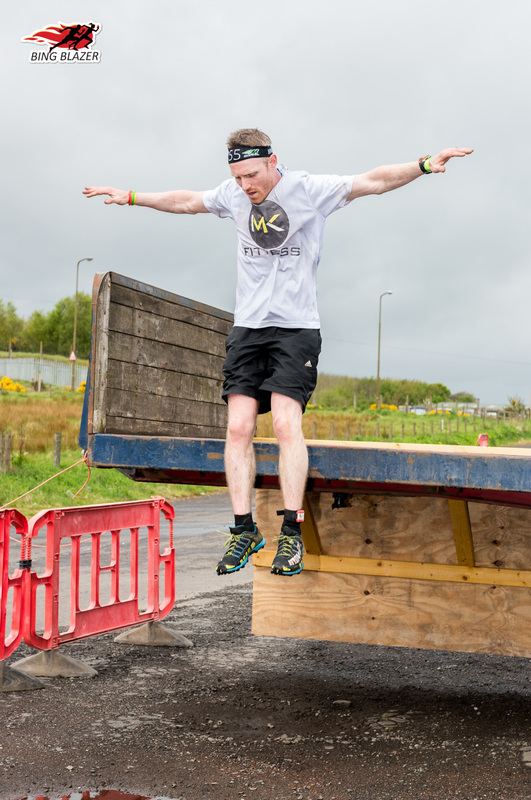 I was excited about taking part in this years Tartan Warrior, after hearing how well last years events went from a few clients. And I have to say I really enjoyed it. Signing up for the was done through EntryCentral.com. The process was simple and painless. Not as fancy as some other sign up sites, but it does the job. I felt that post race information was given out a little late, less than 48 hours before the race. 2 car park options were given for the race, and we went for car park 1. However, we found it difficult to find, with no signage to the car park and sat nav taking me a little further away(apologies to the persons house I had to park outside ). But a little wonder up the road and I could see where were to go and the red arrows took us to the event area, it was a bit of a trek. Once at the event village things were pretty straight forward. My team and I were in wave one and registration was easy to find. The cue for registration was seemingly at a standstill for an age, but with a quick announcement the prioritised wave 1's registration and it sped up considerably. Not much else at the event village, just a couple of toilet stalls, no real bag drop and a table you could get some water and drinks from the Canada Wood Kitchen and Bar. But for the size and pricing of the event, couldn't really grumble too much. After some briefing on the wrist bands for the obstacle monitoring/penalty system they were trying out, were off to the start pen. Little windy and cold standing there on the start line, and we had a little wait until were given the 3, 2, 1 by Joda( organiser of event with other half John). Once off, and sheesh I went off, we hit a muddy, uneven field, with a sharp turn into a nice deep puddle, then down to a crawl in the mud, a perfect start to really thin out the charging crowd. I kind of over cooked it at the start. Too much adrenaline me thinks! And paid for that no too long later. Hitting a couple of hurdles and then our first climb. After this it was a good solid running section. The location was fantastic, and have to say the obstacles were great. Wall climbs, table top, monkey bars, natural burns, rope climb, monkey bars and the addition of a ring toss. The course was fast and exciting. Challenging but fun. A great mixture and blend of natural and man made obstacles. Marshalls were all helpful, well except a couple of us getting told to go left instead of right at one point. It probably cost me a podium finish, but it made me run harder to gain a good few places back. And I can't let that effect my view on what I found to be a very enjoyable race. As always at OCR's the atmosphere was great and spirits high, having a good laugh with many on the start line! And I have to say, it is definitely the best FAMILY event around. It was great and obvious to see that kids and family was a big focus for this event, which I can only assume reflects the values of Tartan Warrior. Kids looked like they had a ball. I hope this event continues for the next few years so I can take my wee boy around the course. 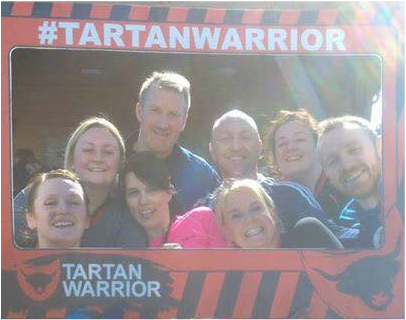 Tartan Warrior was a fun, solid race. It crammed so much in to such a small course, which made you feel you were out running longer than you actually were. Really a great introduction race to OCR's, and superb for enthusiastically motivating the family to together and get outdoors and get active. Yes there were a few niggles and a few things lacking, none of that was to do with the important thing, the race. But for a more 'smaller', local, family friendly event you can not grumble. I am sure as they grow they will learn and only get better.